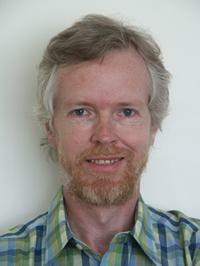 It's easy to understand why Ian Fieggen is known as Professor Shoelace. Not only does he run the world's most prominent shoelace web site, he's also the master of a wide variety of creative lacing methods. LoveToKnow spoke to Professor Shoelace to find out more about his passion and get the scoop on how to stop tripping over our unraveling laces. LTK: Your book, LACES: 100s of Ways to Pimp Your Kicks, is bursting with unusual lacing methods. Is there a basic, universal knot that would be ideal for, say, the everyday sneaker or other type of casual shoe? IF: As far as lacing methods, basic "crisscross" lacing may seem uninteresting but it is very effective at holding the shoe closed, spreads the load evenly, is relatively easy to tighten and loosen, uses the lace length efficiently and sits comfortably with minimal pressure points. Finished off with a "standard" shoelace knot, which is also relatively easy to tie and untie, yet which holds quite securely on most good shoelaces, you have a good overall combination that has been proven for centuries. LTK: You also offer a variety of complex knots. Which is the most challenging (if any), and why? Is there an "expert-level" knot that a beginner needs to work toward? IF: One of the most complex shoelace knots is a somewhat over-the-top one that I call the "Mega Ian Knot". This requires forming a double-loop around two sets of fingers and pulling those loops through each other. The result is a knot with a triple-wrap of shoelace around the middle, making it incredibly secure. It's somewhat impractical though because of the difficulty of tying. Most beginners need only aspire to learning one of the easier secure knots, such as the "Surgeon's Shoelace Knot" or the "Ian's Secure Shoelace Knot", either of which provides more than enough security to stay tied under even quite adverse conditions. LTK: Shoelaces that come undone are far too common! Are there any tricks of the trade you recommend to prevent this from occurring? Check that you're not inadvertently tying an unbalanced "Granny Knot", which comes undone much more easily (see below). Learn a more secure knot, such as "Ian's Secure Shoelace Knot". Regardless of the knot used, finish it off by pulling the knot nice and tight. Replace slippery synthetic shoelaces with ones made of cotton or other natural fibers. Roughen up shoelaces with some coarse sandpaper to make them less slippery. Apply a product to the surface of the shoelace to enhance the grip, like beeswax, rubber cement or a specialist product like Lace-Stick®. Ensure that the shoelaces aren't too long, either by replacing them or by shortening them to the correct length. Besides the obvious fact that long loops or ends are more likely to be either snagged or stepped on, the fact that they flop around more also tends to work the knot loose. LTK: There's some speculation that many people actually tie their shoelaces wrong most of the time! Is this true, and is it possible to unlearn an old habit? IF: It's certainly true that many people, possibly 40 to 50 percent, are inadvertently tying what's called a "Slipped Granny Knot". This results from tying both the starting knot and the finishing bow with the same orientation. Each stage twists the knot slightly, and the resulting double-twist creates an unbalanced knot, which is far more prone to coming undone. This is easily spotted by a twisted bow that refuses to lie straight across the shoe. The solution is to tie each stage in opposite directions so that the twists cancel each other out, balancing the knot so that it both sits straight and stays secure. It is indeed difficult to unlearn an old habit, so the simplest solution I can offer is to reverse your starting knot. For example, if you currently tie your starting knot by putting the left end over the right end, change this to right-over-left (or vice versa). LTK: Which of your lacing methods is your favorite? Is there one particular method the public seems to favor? IF: For most of my everyday shoes and sneakers, I opt for an efficient method called "Over Under Lacing", which is faster to tighten and loosen plus looks slightly unusual. For my trendier shoes, I've lately been using a couple of variations of "Lattice Lacing" with two different colored shoelaces, creating very decorative two-tone effects. For the public, the more intricate and colorful lacing methods such as "Checkerboard", "Lattice" and the recently added "Spider Web" are all very popular, and many people find that they receive both comments and requests from others whenever they use these styles. 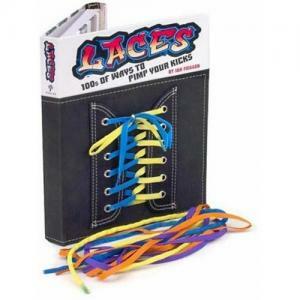 LTK: With the most popular shoelace Web site in the world and a book on your plate, you've pretty much got the lace world covered. What's up next for you? IF: I'd like to do something specifically for kids, either a children's book or perhaps visiting kindergartens to help teachers pass on some of the finer points of shoelace tying. Too often I have heard from adults who have suffered their whole lives through never having learned the correct technique, so I'd love the next generation to learn this as kids. Skilled in a range of areas, from technical art to computer graphics, Ian Fieggen says: "My main reason for creating a Web site about shoelaces was that no one else had done it. I was prepared to do something even though there was no money in it, plus there was probably a bit of 'standing up for the underdog.' Once I started the site, I became more intrigued. To me, it's truly fascinating that something as simple as a shoelace could be customized by so many different people in so many different ways for so many different applications." You can learn more about Professor Shoelace, find links to shoelace tutorials (including new animated tutorials), and view his complete listing of sites by visiting www.fieggen.com.